Daily Workout Plan, Full Length Exercise Videos, Motivation & Fitness Tracking! The LSF app is more than just a workout plan, it's a motivational experience! We've created the ultimate fitness game to keep you on track and seeing amazing results! Earn trophies for crushin' your goals, grab bonus rewards along the way and keep an eye out for tons of motivational surprises to keep you going. You've never worked out this FUN before! Got 30 minutes a day? Perfect! 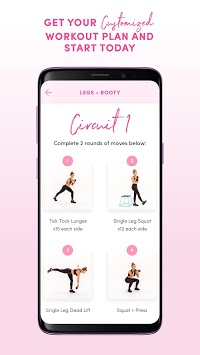 The LSF app was designed by combining the highly effective signature LSF workout plan with the most fun and interactive workout experience ever. Set and crush your goals with your personalize weight, hydration and measurement trackers. No matter what your fitness level, the LSF app will create the perfect plan to help you accomplish your goals. And we want you to look back at your amazing journey using the LSF daily fit journal, allowing you to track your mood, workout results, self care and full history for progress photos! 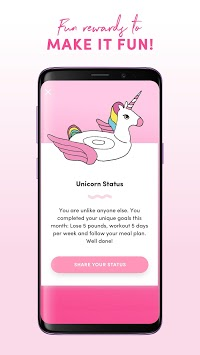 The LSF app includes your full daily workout plan, full length workout, educational and lifestyle videos from Katie, plus tons of amazing bonus challenges! Join hundreds of thousands of women as part of #TEAMLSF during our exclusive featured challenge months like the Summer Shape Up Series; all from the app! We say, ditch the gym and get your healthy happy hot body from literally anywhere. This is it, let's do this together! Start your FREE 7 day trial today! • Access To LSF Annual Challenge Series Right From The App - Includes Bonus Workouts, Recipes, Prizes & More! • Join the global community of women #TEAMLSF, working with you to crush those goals!